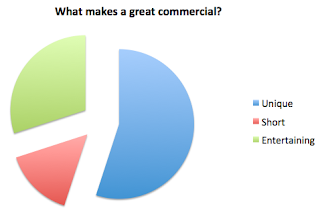 corporate videos, television commercials and video production tips, news and analysis from toast tv: What do you think makes a great TV commercial? Following some great reactions to our LadyLucks commercial via Twitter, we thought we’d conduct some market research via business social media portal LinkedIN Answers. Humour isn’t a priority for you. What you’re really looking for is something that stands out in your mind. Media that really stands out is almost impossible to find. As soon as it gets published, everyone else and their mother have jumped on board. Nonetheless, as the Cadbury’s 2007 drumming gorilla proved, it’s far from impossible to do. Does this profile fit you? Keep sending our answers in to us here.